Gerardo Ceballos González, researcher at the Institute of Ecology of the National Autonomous University of Mexico, said that before the end of the first semester of the year the results of the Second National Census of the Jaguar, which are promising, will be announced. “I do not have results yet; it would be premature. What I can say is that the information is encouraging and that by the end of May, beginning of June, we would have the correct estimate. Until now, the situation looks promising,” the specialist told Notimex. The final data will be announced at the International Symposium on Ecology and Conservation of the Jaguar, where a group of Latin American experts will exchange ideas and conservation methods, from June 10 to 17 in Cancun. For Ceballos González, the efforts towards conserving this species have been successful in Mexico because scientists and local people are involved. Also civil organizations, such as the World Wide Fund for Nature (WWF Mexico), TELMEX/TELCEL Foundation and the government, through the National Commission of Natural Protected Areas (CONANP). “We also work in the biological corridors and protected natural areas for the jaguar. We have determined with the National Commission of Natural Protected Areas which [areas] should be [added]; and in those that are already [protected], what to do to strengthen them,” he said. One of the central issues to protect the jaguar is to try to avoid the jaguar-human conflict; because if the feline kills farm animals, then the breeder does the same with this specimen. So far, Mexico is the only country that has a Jaguar’s Population Census. 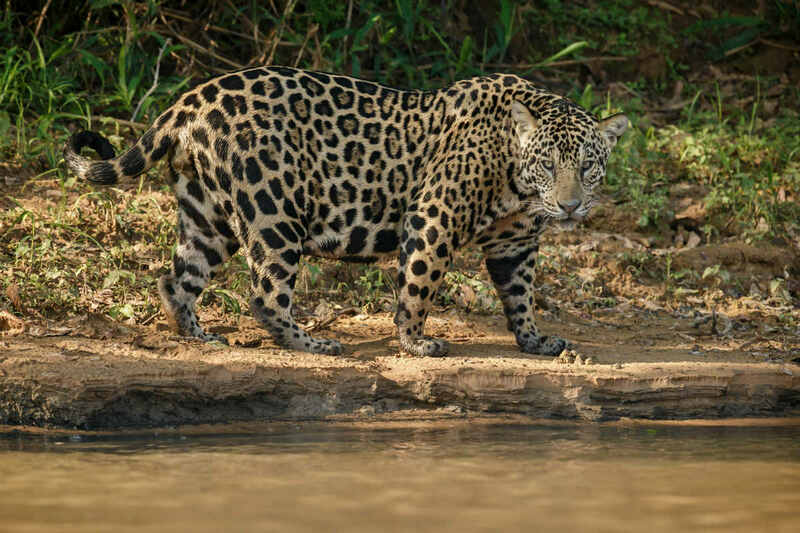 The results of 2011 indicated that there were around four thousand jaguars in national territory, which were located from Sonora – in the border with the United States– all along the Pacific coast to Chiapas. The researchers consider that 4,000 jaguars are 20% of the jaguar population in Mexico in 1900, which is basically disappearing due to the destruction of their habitat. The researcher said that an agreement was signed with Guatemala and Belize to link the protected areas of these three countries, with the objective of relying on the long-term preservation of these reserves. The WWF-Carlos Slim Foundation Partnership works in six priority regions (Mexican Mesoamerican Reef, Chihuahuan Desert, Gulf of California, Monarch Butterfly, Oaxaca and Chiapas) with local, national and international partners, by adding efforts and financial and human resources for sustainable development and conservation of biodiversity. It also works hand in hand with federal and state government agencies, so that the investments contribute to meeting national and regional goals.